Copyright Kyle Kalish 2013, All Rights Reserved. Importers of the Merlin chassis line and also a full service and online karting shop. Jamie Sieracki has had a huge role in Kyle's development as a driver and racer. Official factory support team, MerlinUSA has been home to Kyle since 2005. Run by karting veteran Jamie Sieracki, they have won multiple championships and races on from the National to Club level. Both MerlinUSA and Merlin Racing Karts have been a vital component in Kyle’s development and success. 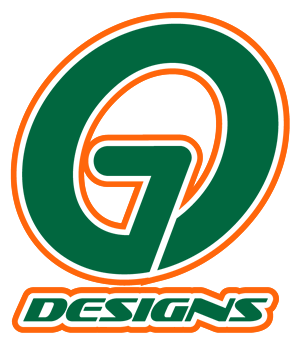 GO Designs is located in Tallahassee, Florida. Owned by Gary Osterholt, GO Designs is a leader in website graphics and designs and is the exclusive website designer for Kyle Kalish. As you may or may not know, -273 is absolute zero, or -273.15 °C to be exact, which is the coldest temperature theoretically possible. We established the company really to see if we could make something from nothing. To rise up from absolute zero. The superior man fosters his character by thoroughness in all that he does. A spring succeeds in flowing on and escapes stagnation by filling up all the hollow places in its path. In the same way character is developed by thoroughness that skips nothing but, like water, gradually and steadily fills up all gaps and so flows onward. Perseverance furthers. Founded in 1971 by Edward Polen, EMCO Chemical Distributors is currently the nation’s 10th largest chemical distributor. Headquartered in Pleasant Prairie, Wisconsin; EMCO has 5 locations with production facilities in Pleasant Prairie, Wisconsin; North Chicago, Illinois; and Columbia, Illinois. EMCO also has warehousing in Minneapolis, Minnesota; and Mishawaka, Indiana. EMCO services the greater Midwest with over 4000 chemical raw materials for a variety of uses, including the manufacturing of paint & coatings, graphic arts chemicals, and personal care products. Utilizing their customer’s formulas, EMCO also blends and packages a variety of “turnkey” items into smaller packages. This is done for a range of products, especially those used in automotive refinish, car care, and the fuel additive markets. Woltjer Engines is a family owned business that has been building engines since 1988. Their daily objective is to build the finest quality engines that can be built. They are constantly finding ways to make more horsepower. Woltjer Engines does not have a racing team because they build all motors equally and enjoy providing all of our customers with the direct knowledge and support they need.